May 1, International Workers Day. Please post your accounts and updates of workers' events today in the comments below. 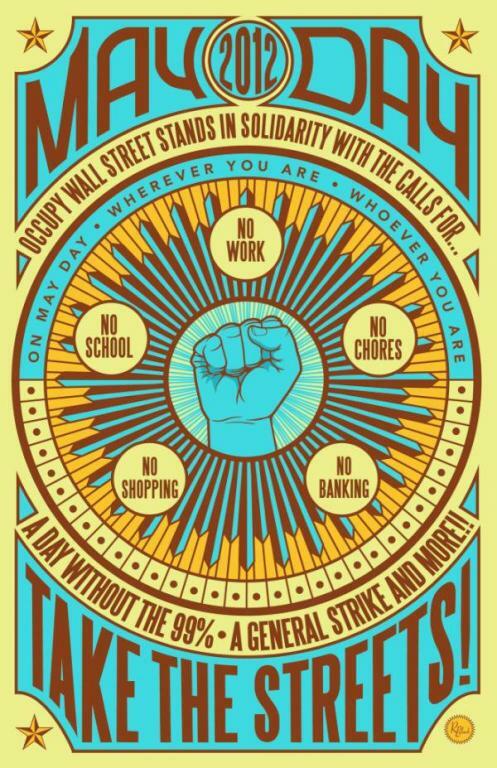 See this article for a short history of Mayday as International Workers Day. And see this thread for discussion of organising of the #occupy Mayday general strike attempt. Well, I'm out of the country, but I'm gonna try and keep track of all the mayday activities. Here's what I've seen so far. Please let us know what is happening in your area! Music is stagnating, are neoliberalism and the gig economy to blame? This was actually for the #12M mobilisations not Mayday. I've met/been in touch with a couple of them, not sure if they can all be termed 'anti-authoritarians', rather a heretogeneous, small group moving to the left of oficialismo in Cuba. I think it's the same article en español. Here is an account of May Day in Minneapolis. From the Twin Cities IWW's blog (which I'm co-editor of). The culprit was obviously a fan of 4chan. This is a little late, but better now than never. At the link are some of my thoughts and reflections around libertarian left organizing around Occupy and May Day 2012.